Are you making the most of the opportunities of LinkedIn or are you missing a trick for achieving business growth and gaining one up on your competitors? If you run a business and have access to the internet, chances are you have signed up to the networking website LinkedIn. But are you making the most of the opportunities it offers or are you missing a trick for achieving business growth and gaining one up on your competitors? It isn’t enough to simply sign up, you need to create a profile which provides all the information you would want a potential business contact to know. Include your contact details, business logo and links to your company’s website. It is also a good idea to spend some time writing your profile so it conveys what you do, how you do it and what makes your business special. 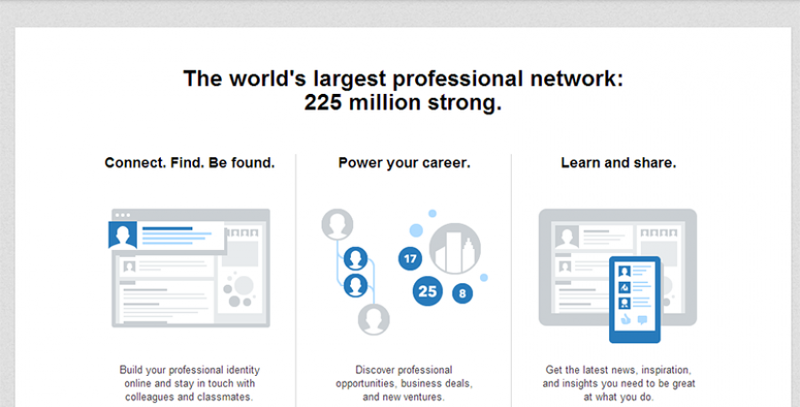 LinkedIn is not the right place to be modest, so make sure you shout about your achievements. Give details of any awards and successful projects you have worked on and give people a good overview of your entrepreneurial experience and expertise. Potential business partners will use the site to make a quick judgment about you and whether you have the skills they are looking for so it is vital you sell yourself and don’t downplay your success. If you want to use LinkedIn to make contacts, joining groups which are relevant to your business is a really good idea. Groups are a chance to make useful connections, share best practice and express your views on developments in your industry. If you can’t find a group on LinkedIn which suits you, you can always create your own. Perhaps you could start a mini-networking group for your business centre. You wouldn’t give someone your business card without introducing yourself first so the same etiquette should apply to LinkedIn. If you send someone an invitation to connect, include a personal message to show you have a genuine interest in being in touch with them. Recommendations and endorsements play an important part in building your profile and encouraging others to work with you. Ask regular clients and those who have worked with to write recommendations or endorse you for skills – you can always return the favour. If you can get someone to explain exactly how your business has helped them, it is an excellent way to sell your services. You can follow Bizspace on LinkedIn and if you feel you have some useful advice to offer start-ups, or if you are a start-up business wanting a forum to ask questions, join our group Start-up Support for New Businesses.